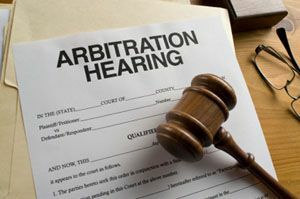 Municipalities should take note of a recent arbitration decision that gives them more power to decide who they will hire, as opposed to having those decisions made by the union. The case involved the City of Mattoon, who decided to eliminate its ambulance services and have them operated by private companies. The union representing the ambulance services filed a grievance, claiming that doing this violated the Substitutes Act, which prohibits municipalities from appointing anyone to serve as a substitute for a firefighter who is not part of the union. The union argued that the Substitutes Act prevented the City from replacing qualified firefighters or paramedics with unqualified employees, and that only those who went through the appointment process before the City’s Fire and Police Commissioners could be properly qualified. Therefore, ambulance services could only be performed by full-time firefighters belonging to the union. The arbitrator found, however, that what the City was doing was not prohibited by the Substitutes Act. It held that eliminating a position and then hiring an independent contractor to perform the services of that eliminated position was not a substitution of one position for another as defined in the Substitutes Act. Therefore, the arbitrator ruled against the union and permitted the City to eliminate its ambulance services and hire a private company in its place. This decision weakens the scope of the Substitutes Act, thereby giving municipalities broader authority to subcontract services in an effort to save money. We have represented municipalities in a broad range of negotiations with many different unions, and we would be happy to represent your municipality in your negotiations. Do not hesitate to contact us to do so.